A new clinical trial investigating whether an herbal medicine product can benefit school-age children experiencing bedwetting is being led by a collaboration between researchers from the Australian Research Centre in Complementary and Integrative Medicine at the University of Technology Sydney and the Office of Research at Endeavour College of Natural Health. Use of practitioner-led complementary and alternative medicine (CAM), such as acupuncture, massage, osteopathy and chiropractic treatment, rose from 12 per cent of the population in 2005 to 16 per cent of the population in 2015, according to a survey led by researchers at the University of Bristol's Centre for Academic Primary Care. For those in the habit of getting their neck adjusted by a chiropractor, the University of Michigan Kellogg Eye Center has interesting information to know about: High velocity neck manipulation has been shown to result in stress on the eye and lead to spotty vision. Mind-body therapies – biofeedback, mindfulness, yoga, and hypnosis – provide a promising approach to the very common problem of anxiety in adolescents, according to a review in the March issue of The Nurse Practitioner. Population diversity and widespread immigration predispose physicians to encounter patients with a variety of backgrounds and cultural practices. A new study published in JAMA Pediatrics shows that since 2003, the use of alternative medicines, such as herbal products and nutraceuticals, among children has doubled. A rehabilitation technique originally developed for stroke has now been shown to also be effective for improving function for people with multiple sclerosis, a neurodegenerative disease. A legacy of social and political factors rather than bad parenting may be influencing people's decisions not to vaccinate their children, according to a study from the University of Waterloo. Think about this. You have diabetes, are trying to control your insulin levels and instead of taking a pill or giving yourself an injection, you click an app on your phone that tells your pancreas to bring blood sugar levels back to normal. A new study evaluating the use of complementary and alternative medicine (CAM) across the military health system shows that the large majority of military treatment facilities offer at least one type of CAM, and an estimated 76,000 military patients receive integrative health services each month. UK charity Macmillan Cancer, in a move to prevent false news and information circulating among patients, has hired a digital nurse. 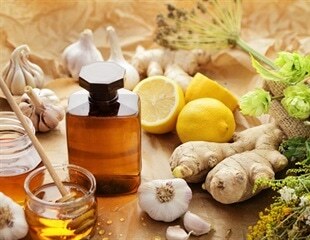 A new study has found that patients who choose cancer treatment with alternative medicine more than double the risk of dying in five years compared to those who chose conventional cancer treatment for the treatable cancers. The study is published in the Journal of the National Cancer Institute. Patients who choose to receive alternative therapy as treatment for curable cancers instead of conventional cancer treatment have a higher risk of death, according to researchers from the Cancer Outcomes, Public Policy and Effectiveness Research Center at Yale School of Medicine and Yale Cancer Center. The use of acupuncture to treat pain dates back to the earliest recorded history in China. Despite centuries of acupuncture, it's still not clear why this method of applying and stimulating tiny needles at certain points on the body can relieve pain.